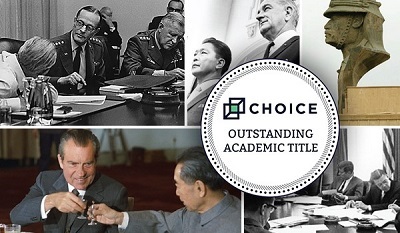 Choice Magazine, the publishing arm of the Association of College & Research Libraries (ACRL), has named the Digital National Security Archive (DNSA) an Outstanding Academic Title, where it joins a prestigious list of information industry resources recognized for their excellence in scholarship, relevance, originality and value. DNSA, published in collaboration with the National Security Archive, is the most comprehensive collection available of significant primary source documents central to U.S. foreign and military policy since 1945. It opens access to the defining international strategies of our time, with more than 124,000 indexed, declassified government documents – many published for the first time. Its topics range from the Cuban Missile Crisis to the war on terrorism, Afghanistan to Iraq, Argentina to the Philippines, presidential directives, military uses of space and U.S. relationships with the former Soviet Union. Curated by the National Security Archive’s foreign policy specialists with guidance from former officials and top academic experts, DNSA’s materials are indexed by librarians. Document types include White House records, international summit meeting transcripts, top-level briefing papers, CIA assessments and covert action reports, military planning documents, State Department telegrams and other high-level, previously classified materials. Learn more about the DNSA and sign up for a free trial that includes 52 modules! See the timeline and read about the continuously growing collections covering Asia; Intelligence, Nuclear Weapons, and Policy; and the Middle East.